You wouldn't expect this of him but King Khan has been slacking on his outfits lately. You know what I mean, don't you? He's a basics guy but if you remember his sharp outfits from Don (the remake), you know 'dapper' suits him like nothing else. But all he's been seen wearing most of this year is a t-shirt with a hoodie and roughed-up jeans. Not that this isn't a cool outfit itself but it seemed like he had the same OOTD on rotation... and we no likey. 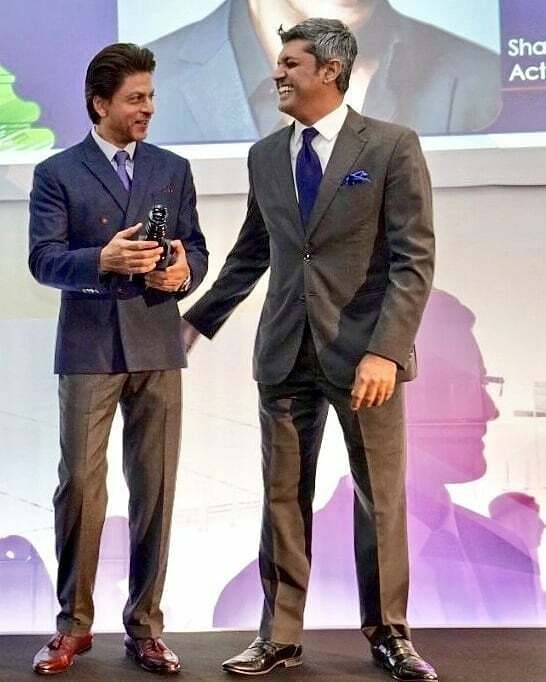 Our (and Kajol's) favourite Bollywood actor was in the UK to receive an award, dressed in an impeccable formal outfit. 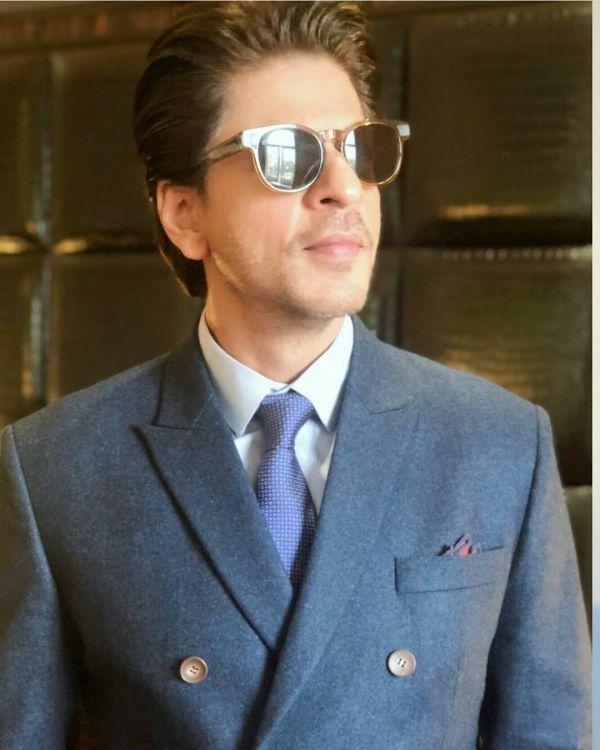 Shahrukh's double-breasted blazer is a classic that has never gone out of style but we have to admit, SRK made it his own. 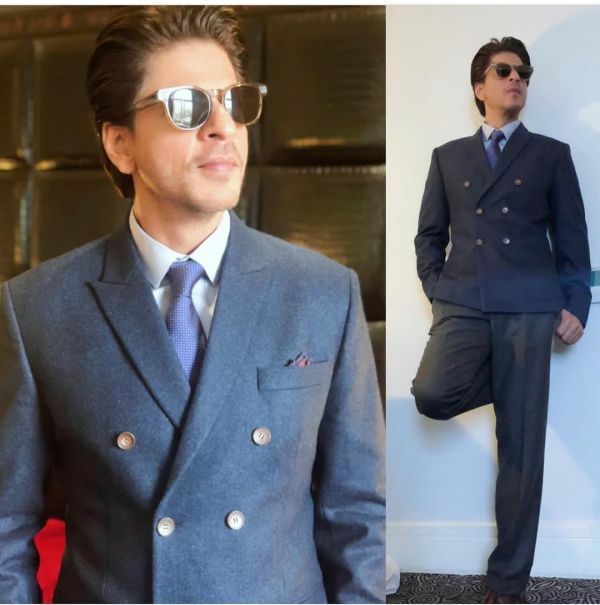 Instead of pairing the navy blazer by Masculine with matching trousers, SRK wore ash grey ones with shiny tan loafers. 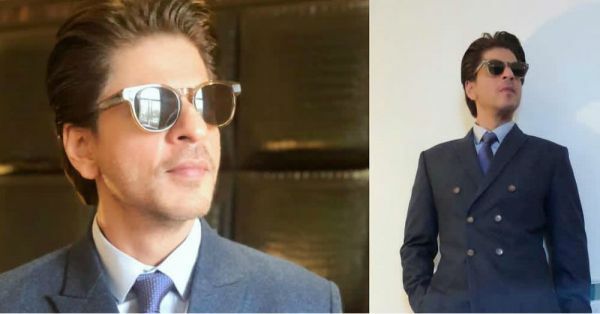 Another quirk in SRK's outfit that we appreciate is the unique colour of his tie - one that men don't usually go for. We love his purple tie AND his red pocket square but we also must give a special mention to his vintage-vibe sunglasses. No wonder Shahrukh leaves the whole country swooning! Let's hope we get to see more of him in suits... but we'll take him in his jeans too, amirite ladies? Want some of that pantsuit action? Here you go.